The Asian Infrastructure Investment Bank. The BRICS Bank. The Shanghai Cooperation Organization. What do these organizations have in common? For starters, China is a major player in each of them. And in their own way, each of them indicate how China—and other authoritarian governments, including Russia, Saudi Arabia, and Venezuela—have tired of playing by the rules of existing international institutions. 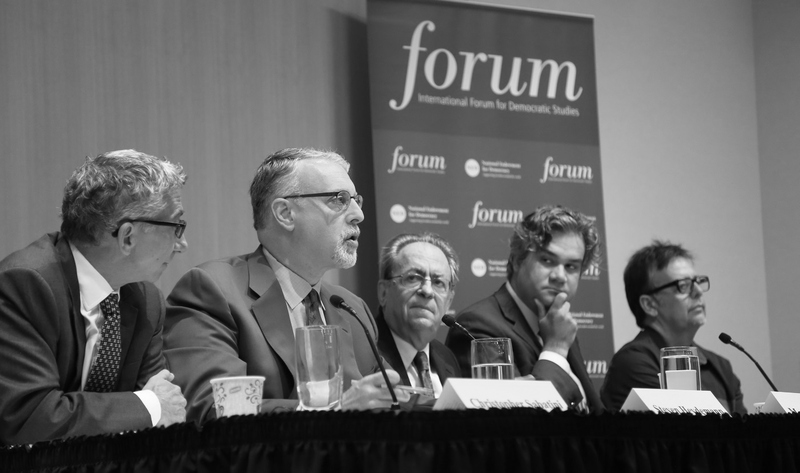 A recent panel discussion organized by the International Forum for Democratic Studies with a group of leading experts assessed how authoritarian regimes are creating new illiberal norms and institutions as part of their efforts to reshape global governance toward their own preferences. 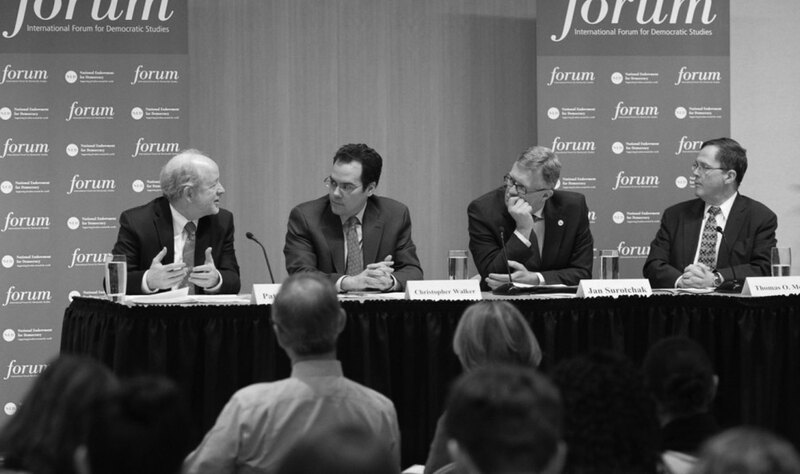 The speakers described how illiberal regimes in Eurasia, the Middle East and North Africa, and Latin America are attempting to reforge global institutional frameworks by prioritizing state sovereignty, security, and mutual non-interference over democratic accountability, government transparency, and respect for human rights. Alexander Cooley—who analyzes the emergence of authoritarian counternorms in his July 2015 Journal of Democracy article (further discussed here on the blog)—warned that autocrats have become surprisingly adept at neutralizing and subverting the institutions that have traditionally upheld democratic norms. By introducing antidemocratic norms into regional rules-based bodies, creating alternative institutions, and cracking down on NGOs, Cooley argued that authoritarian regimes are challenging scholarly assumptions that regional integration would contribute to the proliferation of democratic norms. Instead, illiberal regimes have discovered that these tactics can be used with particular effect at the regional level as a buffer against international criticism and to silence local voices who once played a key role in bringing human rights violations to the attention of regional organizations. Cooley also cautioned that new, “alternative providers of international public goods” are enabling authoritarian governments to reorient themselves away from traditional Western partners. 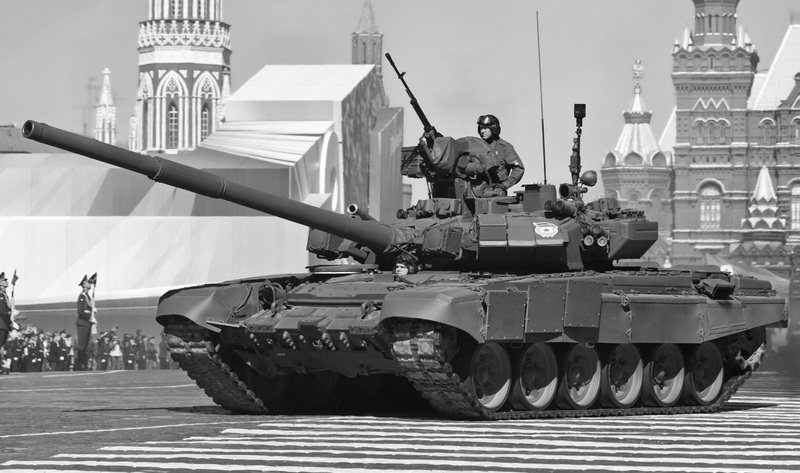 Wealthy authoritarian patrons such as China, Russia, Saudi Arabia, and Iran have provided other illiberal regimes with aid and investment free of the governance and human rights standards typically sought by established development lenders. This new authoritarian patronage allows recipient countries to perpetuate corrupt practices and poor governance. Similarly, Latin America—once known for its strong regional tradition of defending democratic rule and human rights—has experienced a dramatic shift away from these values over the past 10-15 years. Christopher Sabatini argued that there has been a “systematic attack” on the region’s established institutions, processes, and standards through the erosion of existing democratic norms and the development of counternorms. Leading the pack, Venezuela and Ecuador have used political ties to rally support for initiatives that insulate their regimes from international criticism, such as a 2013 “reform” campaign to limit the effectiveness of the Organization of American States’ democracy and human rights organs. Venezuela, with support from Brazil, has successfully promoted the creation of parallel regional institutions, including the Community of Latin American and Caribbean States and the Union of South American Nations. Sabatini noted that these organizations lack the resources and staff necessary to create or enforce robust standards, revealing a lack of political will among member states to see these organizations succeed in building an authentic framework for regional governance. Although Latin America has always grappled with an underlying tension between normative preferences for defending democracy and asserting national sovereignty, Sabatini cautioned that the resulting resurgence of support for state sovereignty and non-interference is inherently at odds with the region’s commitment to democratic norms. 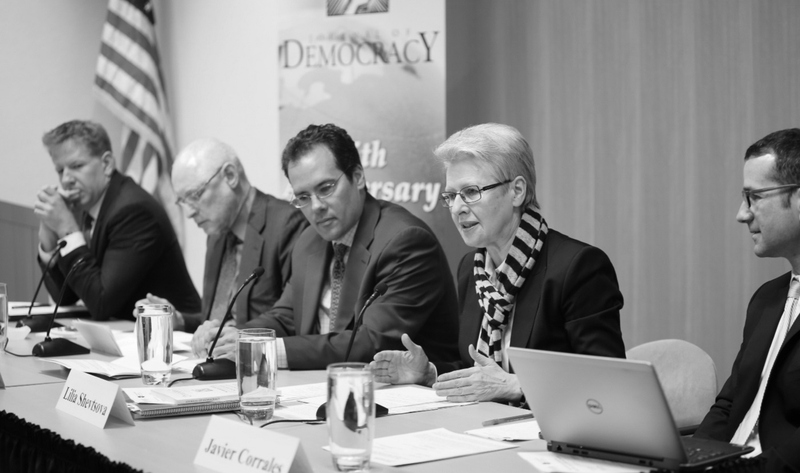 Unfortunately, some of the region’s key democracies, including Brazil and Argentina, have been moved by appeals to state sovereignty to support–tacitly or explicitly–encroachments on Latin America’s established democratic standards. As authoritarian governments seek to insulate their regimes from scrutiny by reshaping international norms, it falls to the world’s democracies to stand up for human rights and political freedom. The participation of authoritarian regimes in governance institutions such as the United Nations and the World Trade Organization demonstrates their eagerness to engage with the rest of the world; this desire to enjoy the benefits of the prestige that comes with participation in these rules-based institutions offers an opportunity to the democracies, which should insist on adherence to liberal international standards as a requirement for such engagement. As Cooley suggested during the panel, “If [the international community is] going to give these [regional] organizations the prestige that they want...then I think everything should be on the table. The price of engagement should be robust engagement”—in other words, engagement in which international standards of accountability, transparency, and human rights are an integral part of participation in these organizations.